Location! Location! This adorable home is concrete block construction with tiled floors throughout, updated kitchen, Master bedroom has his and her closets, large screen enclosure porch, large yard with mature trees and shed included, plus adorable front courtyard and spacious carport. 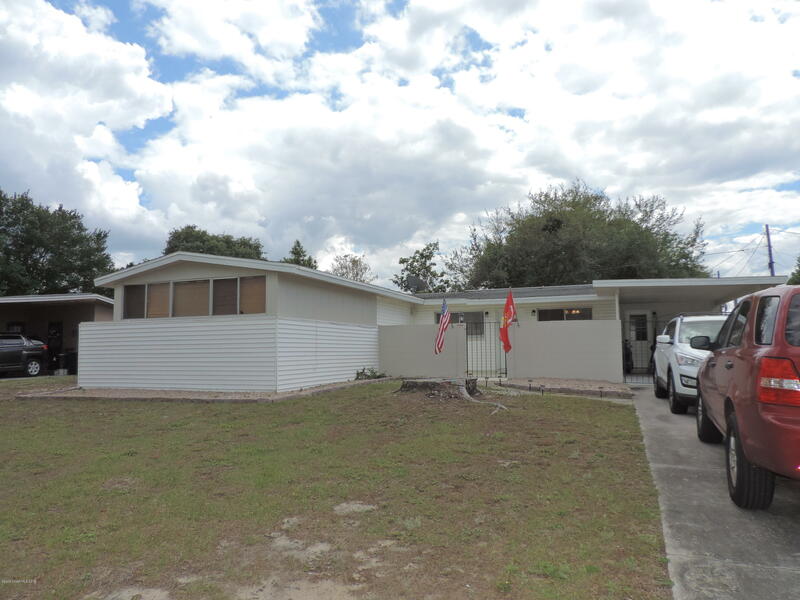 Located in central Titusville close to everything.